Legal Opinions Or Political Commentary? 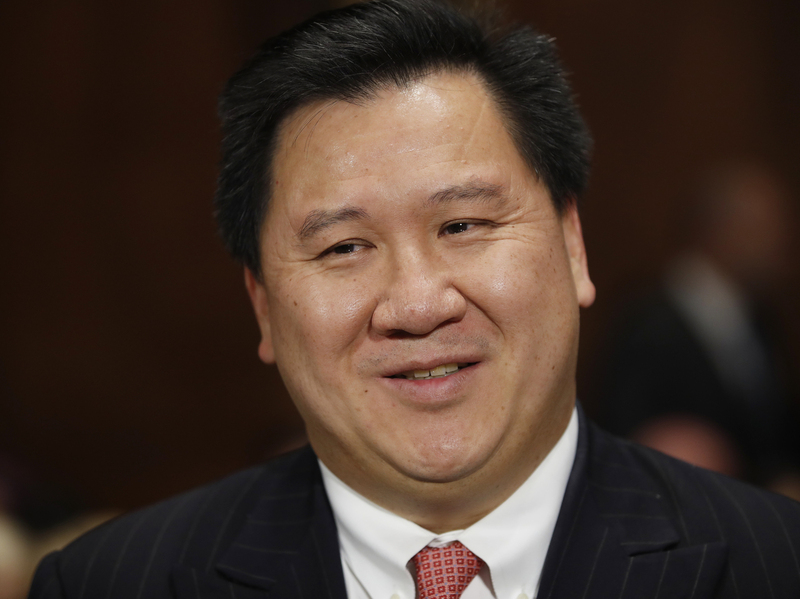 A New Judge Exemplifies The Trump Era Judge James Ho has begun what likely will be decades of service on the federal bench, drawing attention from critics and supporters and encapsulating how much effect Donald Trump is having. Appellate Judge James Ho, a young conservative newcomer, embodies the changes that President Trump and Senate Republicans are making to the federal judiciary. Critics say Ho is writing op-ed columns, not legal opinions. Friends and former colleagues said he's an intellectual engaging with ideas. And that he's just getting started. What's clear to all is how much the young judge — and many others like him confirmed by the Senate under Trump — is making a mark on the federal judiciary and how much that will continue for decades to come. Ho said he couldn't comment for this story because he was traveling. Ho's legal credentials are unmistakable: He attended Stanford and the University of Chicago, served in the civil rights division at the Justice Department early in the Bush administration, and went on to work as chief counsel to Texas Republican Sen. John Cornyn and as clerk for Justice Clarence Thomas on the Supreme Court. In December, the Senate confirmed Ho for a seat on the U.S. Court of Appeals for the 5th Circuit by a vote of 53 to 43. That followed a confirmation hearing in which Don Willett, a colorful Texas Supreme Court justice nicknamed "the Tweeter Laureate of #Texas," drew most of the flak. 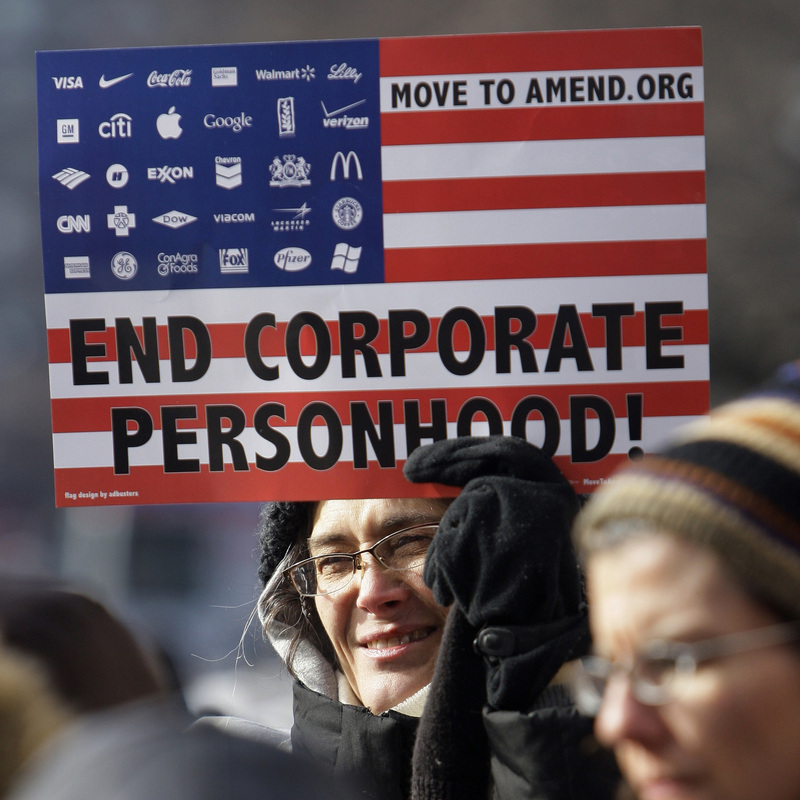 Protesters demonstrate in support of limits to campaign contributions. Opponents decried Judge James Ho's support for unlimited political spending. Ho's first opinion, in April, was a dissent in a case involving limits on campaign contributions in Austin, Texas. Candidates for municipal elections — people like mayors and city council representatives who represent fewer than 100,000 people — are barred from accepting donations of more than $350. When the government grows larger, when regulators pick more and more economic winners and losers, participation in the political process ceases to be merely a citizen's prerogative — it becomes a human necessity. This is the inevitable result of a government that would be unrecognizable to our Founders. If we're going to ask taxpayers to devote a substantial portion of their hard-earned income to fund the innumerable activities of federal, state and local government, we should at the very least allow citizens to spend a fraction of that amount to speak out about how the government should spend their money. Ho's opinion put him closely in tune with the Trump administration, which has made a priority of destroying the "administrative state." Eugene Volokh, a professor at the UCLA School of Law, said he's been following Ho for years. "What we're seeing from Judge Ho is a judge who, because he's really interested in law and ideas, wants to write more about the bigger picture," he said. "It's indisputable that he's writing opinions that express particular ideas that some people disagree with, even sharply disagree with." "Rather than doing what lower federal courts are supposed to do — apply binding Supreme Court precedent — Judge Ho went out of his way to express his agreement with Supreme Court Justice Clarence Thomas's views of how campaign finance cases should be resolved," Hasen said. Ho also is setting himself apart from a more conventional appellate judge in the way he directs his attention toward big, strategic criticism about the size of government, as opposed to one focused more on the laws at issue in the case, Hasen said. "Judge Ho moved fully from a legal role to a policy one when he told readers of his opinion that if they did not like big money in politics, the solution was not campaign finance reform but shrinking the size of government," he said. "This struck me as wholly apart from his judicial role, and while I believe it would be perfectly fine for Judge Ho to give a speech or write an article on such a question, the view should not have been included in a formal legal opinion." Orin Kerr, a law professor at the University of Southern California, seemed to agree. Kerr tweeted that Ho's law clerks "should have urged" he remove a passage "that reads like a politician's op-ed." Ho's old friend, Texas Sen. Ted Cruz, has been impressed enough to suggest Ho would be a good fit for the Supreme Court, noting the high court has never had an Asian-American justice. Ho arrived in the U.S. as an immigrant from Taiwan when he was a child and describes himself in a biographical listing as "Taiwanese by birth and Texan by marriage." Ho's wife, Allyson, clerked for Supreme Court Justice Sandra Day O'Connor, and went on to argue four cases before the high court as an advocate. She's currently a partner at the law firm Gibson Dunn & Crutcher, where Jim Ho worked before becoming a federal judge. A law firm spokeswoman said the transition was so easy that Allyson Ho took over her husband's old parking spot at the firm. Friends rib them for sending out Christmas cards bearing the slogan "Ho, Ho, Ho." Earlier this month, Ho weighed in on a case that challenged a Texas law that requires cremation or burial of "fetal remains." Texas maintained there was no real cost to patients or clinics because the state's Conference of Catholic Bishops said it would do the burials for free or for a modest fee. The dispute made its way back to court, where a district judge sided with the plaintiffs and against the Conference of Catholic Bishops. Ho voted, successfully, to block the lower court's order. "It's hard to imagine a better example of how far we have strayed from the text and original understanding of the Constitution than this case," Ho wrote in a concurring opinion." The First Amendment expressly guarantees the free exercise of religion — including the right of the bishops to express their profound objection to the moral tragedy of abortion." More recently, in a case involving the ban on interstate handgun sales, Ho complained, "the Second Amendment continues to be rated as a 'second class' right," borrowing language from his mentor, Clarence Thomas, and new Supreme Court Justice Neil Gorsuch. "Law-abiding Americans should not be conflated with dangerous criminals," Ho added. "Constitutional rights must not give way to hoplophobia." The Urban Dictionary defines that term as an "irrational, morbid fear of guns."